Tony lives in the Downtown Eastsidein the same building as his brother and sister in law. 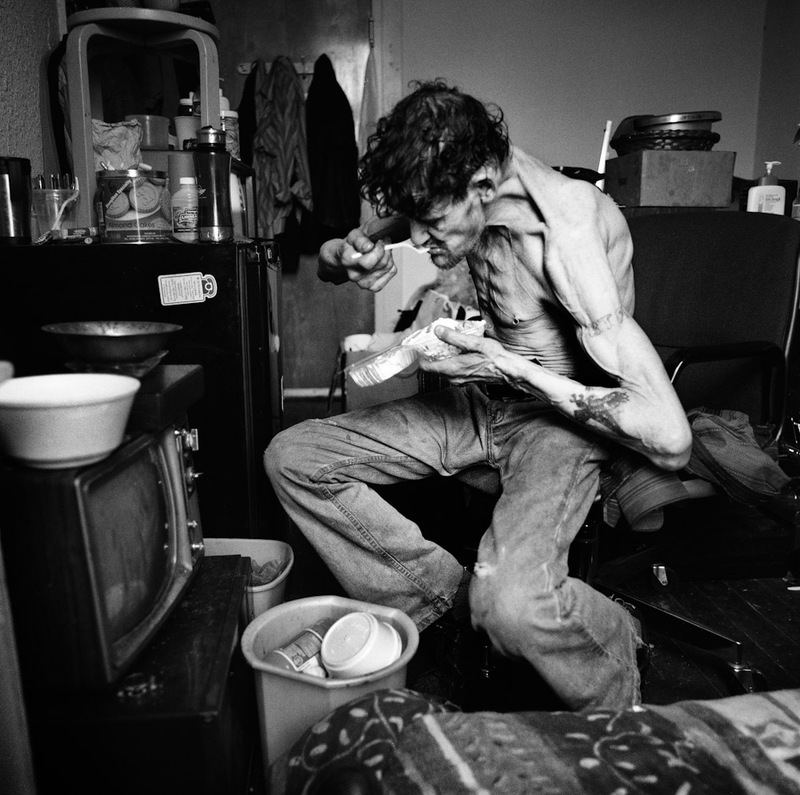 They have all been addicted to heroin for around 25 years. Tony lost his wife to AIDS 5 year ago. They had twin daughters who were born HIV positive and were taken away by the state immediately after birth. Tony is on the Methodone program, but continues to use heroin. Despite all the tragedies this drug has inflicted on his life he is still unable to quit. Here he eats cream pie I brought for him.